Home › Latest News › Old Dominion To Perform At 2019 Fair! 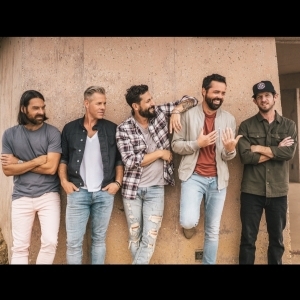 (PASO ROBLES, CA) – The California Mid-State Fair is pleased to announce that country music stars Old Dominion have been confirmed to perform in concert on Thursday, July 25 at 7:30 pm. An opening act will be announced at a later date. Old Dominion’s concert will take place in the Chumash Grandstand Arena at the Paso Robles Event Center. This will be Old Dominion’s first-ever performance at the California Mid-State Fair. Acclaimed country band Old Dominion is the reigning CMA & ACM “Vocal Group of the Year” and they recently launched their “Make It Sweet Tour” with sold-out back to back weekends. In the midst of the tour, Old Dominion shared a new track entitled “One Man Band.” With its artful clean guitar and vulnerable vocals, the heartfelt ballad earned praise right out of the gate. People claimed, “Old Dominion is turning up the romance in their brand new track,” and the release landed on The Boot’s “8 More Songs You Need to Hear” list. Within just a week, it also impressively leapt past the 1 million-mark on Spotify as well.